A one-off for Kanye's progeny. 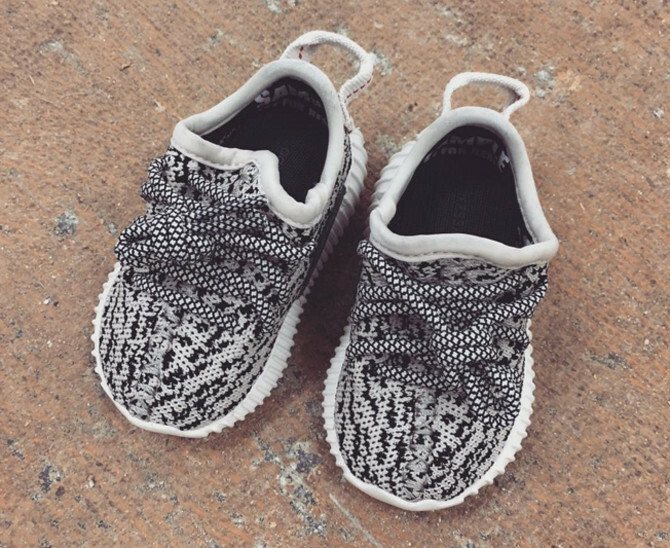 Soon after the son of Kanye West and Kim Kardashian arrives, he will be clad in adidas Yeezy 350 Boosts. Today, Kardashian shared the above photo featuring a tiny size of the West sneaker design and a mention that it's a one of one. Confirming the shoe's rare status is the "SAMPLE" text that runs along the lining. She mentions "Baby Ye," indicating that they are for the forthcoming West/Kardashian offspring (although North West also has her share of exclusives). For now, the sneakers from Kanye West's adidas Yeezy Boost line are available only in adult unisex sizing at retail.